Conservative television is poisoning local TV networks. 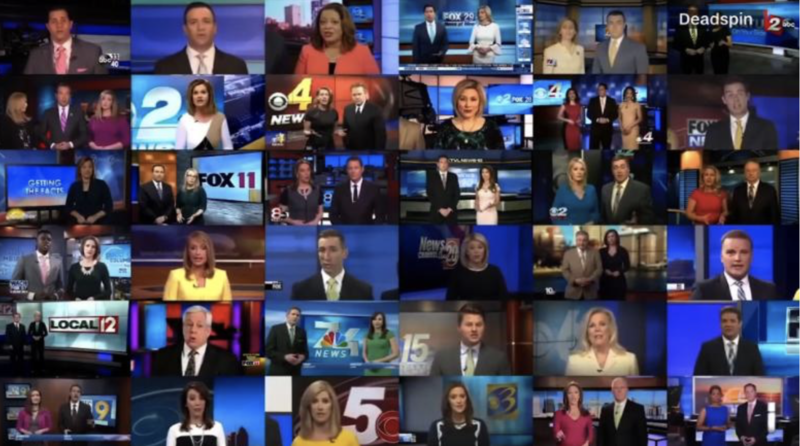 Sinclair Broadcasting, which owns the highest number of television stations in the U.S., is forcing local affiliates to pump out pro-Trump, anti-media (and anti-truth) propaganda – often over their objections. See the CNN video and article below. The media can’t be free if one company owns a critical a mass of stations. This is poisonous slime and has to be resisted.